I'll never have to deal with as a parent. 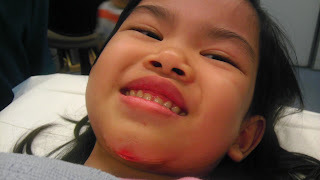 with a gash on her chin. I swear that she darn brave for her age! 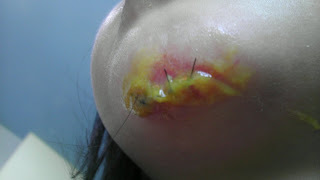 She underwent the whole procedure with only local anesthetic. 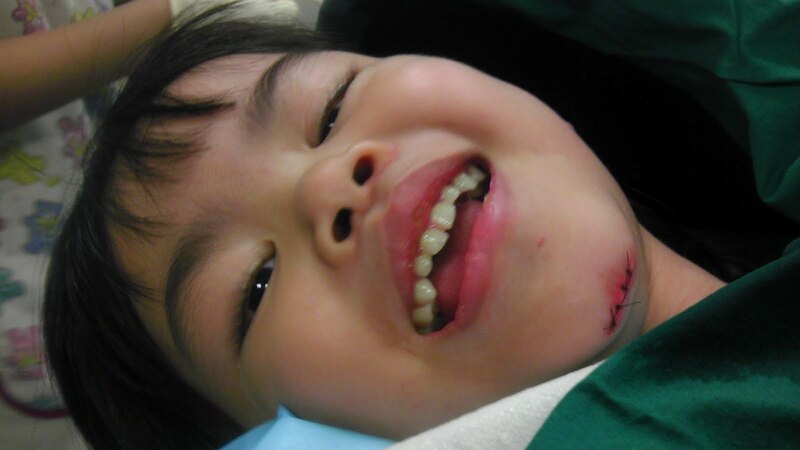 Total of 4 stitches done! This was me fulfilling one of my promises. But McDonald's Happy Meals always makes kids Happy! The day that I wasn't looking forward to. and applying antibiotics cream to the wounded area. but look at that beautiful smile! Brave Sophia had her Stitches taken out! I am thankful that the whole episode is over. keeping our fingers crossed that there would not be any scaring.